Okay, this time we really mean it! 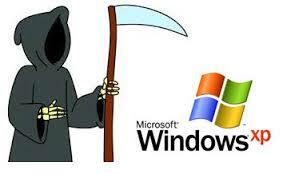 Microsoft is getting really serious about killing Windows XP on April 8th, 2014. Don't worry, no one from the NSA will be showing up with a search warrant on April 9th (...but, you never know). Well, what does this really mean for labs with Win XP PC's? Most IT departments have already made the mandate that Win 7 is the preferred OS for new PC's and many manufacturers have been making sure their software is compatible. But, as we all know, some instruments will be orphaned. That is to say, for a variety of reasons, manufacturers will not be updating software of older XP based instruments. Most labs that I have visited are getting around this in the short term by keeping Win XP PC's off the internal network and sneaker-netting data to a central network location via USB keys. Not ideal. Below is a simple way to get the data flowing without manual intervention and protecting the integrity of the internal network. Note - this is not the only way, but it is a pretty robust solution. Windows XP PC - connected to the instrument (usually USB or RS232) and one Ethernet port. Depending upon the age of the instrument, this PC may be a full tower (big) form factor which takes up a lot of bench space. Windows 7 PC - with two Ethernet ports, one of which will be connected to the internal network. 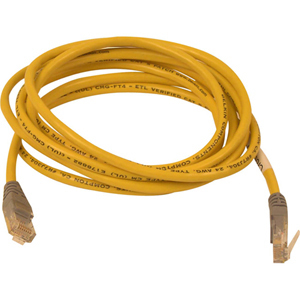 You could use a laptop if it has both wireless and hardwired Ethernet (but, since many IT groups really frown upon wireless connections to the internal network, this example will only over desktop PC's). If your instrument PC has a compact factor (size) try to select a PC that is similar in size. It will make for a more tidy installation. You will only need one monitor/keyboard/mouse when you are done, so if the new Win 7 PC has these you will keep these and ditch the ones from your Win XP PC (see below). KVM Switch - this will allow sharing of one monitor, keyb oard and mouse between the two PC's Be sure that your Win XP PC mouse and keyboard are USB. Some older PC's used the old PS2 style connectors. If this is what you have, ditch them and use the keyboard and mouse from the new Win 7 machine. 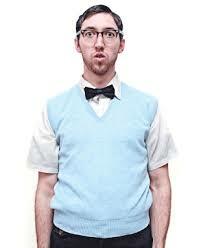 Your IT Support Guru - don't go this alone. If you screw it up you will have to involve he/she to get it resolved so better to keep them on your good side. Besides, this is what they do for a living...you wouldn't like it if they tried to optimize your assays, now would you? 1) Place both PC's next two each other. One PC (Win XP) should be connected to your instrument already, just verify that it is working. The other (Win 7) will be connected to the internal network - make sure that it is working and connected to the network. 2) Plug the Ethernet crossover cable into the Ethernet port of the Win XP PC and the open Ethernet Port of the Win 7 PC. The subnet mask entry must also be identical on both machines. 4) Disconnect the monitor. keyboard and mouse from the Win XP pc and discard them. Connect your Win 7 PC keyboard, monitor and mouse to the KVM box. 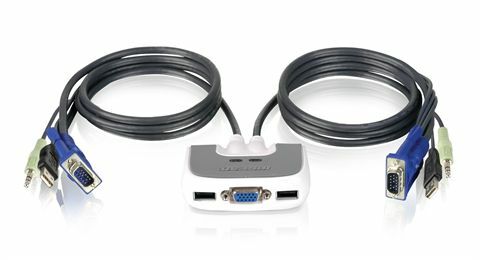 Most KVM devices have two sets of connections that go the separate PC's and just connect your monitor, mouse and keyboard to it. Pretty straight forward. A hardware button allows you to switch between PC's. 5) When finished, it would be preferable to label each PC and stack them on top of each other to conserve bench space. 6) Have your IT Guru look at where you are storing data Files on the Win XP PC. He/She will need to create a new location on the Win 7 PC and change your instrument programs to start saving data at this location. The data now residing on the Win 7 PC hard drive can now be mapped to your server. 1) Many lab instrument manufacturers use Dell PC's as their controllers, probably because they got a great deal on pricing and consistent quality/configurations. I have seen many an IT department specify Lenovo or HP PC's for their internal networks. Although the specs may look identical...strange things can happen. Most manufacturers will not support (or at least spend a lot of time with you) troubleshooting problems on other brand name PC's. Caveat emptor. 2) When maintaining older instruments, the most oft overlooked component is the PC. This is especially true if you have misplaced any critical instrument installation disks or license into. As long as you are planning to use an older PC, it is imperative that you not just back up the hard drive, but actually image the disk (re: Symantec Ghost). In a pinch, you can still replace a bad hard drive in an older PC and re-image the disk.